Barbara Cole: Counterpoint, an exhibition of lenticular photographs and C-prints, is now on view through October 22 at the Rosenbaum Contemporary gallery at 150 Yamato Road in Boca Raton, Fla.
Cole combines the medium of water with a painterly aesthetic to photograph human figures in unconventional ways. The technique she originated, which has been much-copied since, enables her to re-envision the nature of our relationship to our surroundings. 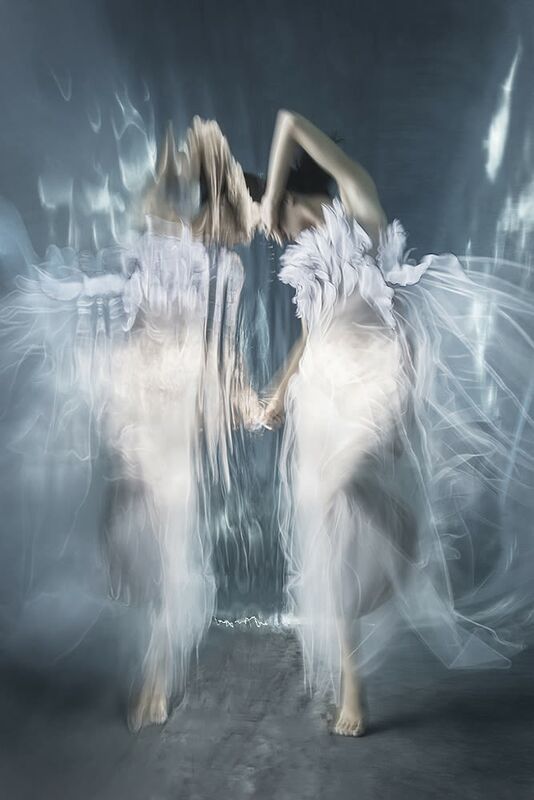 Photographing through water, rather than through air, also allows her to refocus attention on this natural resource that is often taken for granted. Over the past decade, her work has evolved toward almost total dissolution of the human figure, creating a dramatic tension between the figure and form, testing the nature of photography and its impact on our experience of reality. Cole’s artwork has been exhibited worldwide in venues including the Museum of Contemporary Canadian Art in Toronto and the Canadian embassies in Washington, D.C., and Tokyo, Japan. Her work can also be found in numerous public and private collections including the Museum of Fine Arts in Houston, Texas, and the Polaroid Corporation in Canada and the United States. She is also the recipient of numerous awards including the Grand Prize at the 6th International Festival of Fashion Photography in Cannes, France.